When Should NRI Students Start Preparing for Engineering Entrance Exams? Most of the NRIs students won’t be able to admit in the top-notch engineering colleges of India. NRIs don’t know when to start preparation and how long should they prepare to get into the prestigious engineering colleges of India. The period of the preparation impacts a ton on students overall performance/score. Hence it’s pretty important to make yourself familiar with the engineering entrance tests (for NRI students). Let’s check the engineering entrance tests NRIs should appear for and the right time to start preparation. Most NRIs love appearing for JEE as it’s the only gateway to have admission in the India’s prestigious IITs. So, all NRIs should zoom into this stuff. Most NRIs often start preparation in 12th grade, but it’s a major mistake. You won’t be able to cope up time for both 12th grade exams and JEE preparation, where you should prepare 11th and 12th grade stuff to crack JEE with a good score. In this busy atmosphere, it’s very unlikely to ace JEE with an incredible score. Hence, don’t start your JEE Mains / JEE Advanced preparation in 12th grade. When Should You Start JEE Preparation? Let's elucidate this for you..
You have ample amount of time to invest in your studies after finishing the 10th grade. You can start your preparation from your summer holidays as you get tons of free time to prepare then. You can refresh yourself with all the fundamentals of JEE syllabus in the summer holidays. After finishing the fundamentals, you start preparing for the JEE syllabus of 11th grade. Preparing from the 11th grade does make impact a ton on your preparation. Meanwhile, do the same for 12th grade as well. This plan saves ton of your time. SAT Subject Test play prominent role in getting admission in the top-tier engineering colleges of India like NITs, IIITs, SPAs and CFTIs. It is a billion dollar question when to start preparing for SAT Subject Tests for NRIs if they are applying to the DASA scheme or CIWG Scheme. It’s very important to know when to start preparing for DASA as DASA registration opens on Second Week of April. That is, you’ve to do all your 3 SAT Subject Tests by the Second Week of June, which is the last date of SAT scores submission. Firstly, you have to make yourself acquainted with the SAT Subject Test dates. The international students can appear for the SAT Subject Tests just 5 times every year. As College Board conducts SAT Subject Tests 5 times every year, NRIs have to finish their SAT Subject Tests by May to submit their SAT scores to get into the first 3 rounds of DASA Counselling. You won’t be allowed to first 3 rounds if you fail to submit your Subject test scores by the last date of SAT Scores submission. That is you’ve to appear for the SAT Physics, SAT Chemistry and SAT Math II in October, December and June in individual. It’s to be noted that you won’t be able to do your best if you appear SAT Subject Tests in October, November and December in a row. Hence, having at least a 2-month break would make you mentally strong and it will let you focus on one subject at a time. 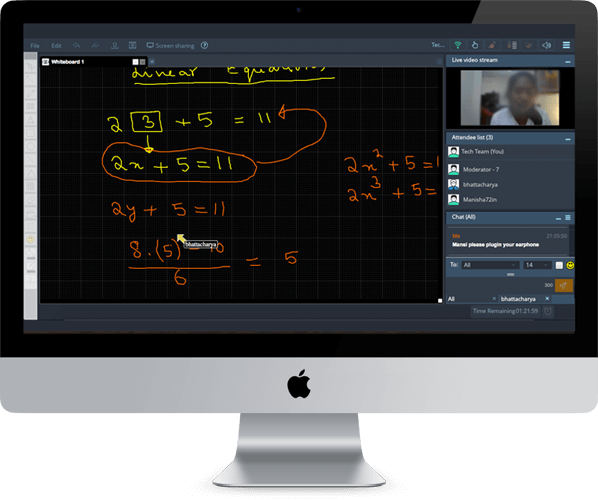 When You Should Start SAT Subject Tests Preparation? 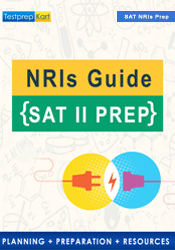 NRIs should start preparing for the SAT Subject Tests once they are done with their 11th grade. Starting preparation in 11th grade always add an advantage to NRIs and it makes them pretty easy to get into the highly-qualified engineering colleges of India. Our renowned experts suggest you to appear One SAT Subject Test in October, another in December and the third one in May. That is, the subjects you feel easy should be given earlier in October and December and the tough subject (according to you) among them can be given in May. This is so simple. We hope you liked our brief counselling here. Check the list of Indian engineering colleges NRIs can get into here. Drop us an email at info@testprepkart.com for further assistance regarding early preparation of JEE and SAT Subject Tests. We read every email.